Some ambient albums seem to be collections of lovely but disparate pieces, each a delightful experience but with no particular meaning for the album itself. Others possess a cohesive theme for the collection, but attach no significance to the order in which the pieces appear. Finally, some albums combine consistent subject matter with a strong chronology, presenting the listener with a story, an aural journey that offers the most value to the listener who can enjoy it from beginning to end in sequence. 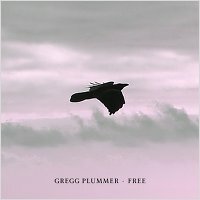 The release we present today, Gregg Plummer's tenth album entitled Free, comprises four tracks that take the listener on precisely such a journey, a gorgeous and contemplative narration of great subtlety and importance. The story Gregg tells has four chapters. The first depicts a challenging dynamic spectrum of needing to belong; the second evokes the feeling of being lost in a crowd; the third offers a study of rejection and isolation; and the climax illustrates the underlying personal empowerment which sets us free. Truly a journey worth taking, and one we find particularly rewarding when approached as a singular whole, rather than merely four immensely enjoyable ambient compositions. Musically, Free fulfills the listener on multiple levels. It is light ambience, to be sure, but with a definite symphonic feeling to it. The production is clear and well defined, a captivating sound stage on which to present the story. Likewise, the lush and well-chosen instrumentation excites the listener's ear without distracting from the music itself, a masterful balance to achieve. We believe we this may be one of Gregg's finest works, which is really saying something. Certainly, this is the kind of ambient music that one can listen to while working or sleeping or engaging in some other activity, but we encourage our audience to give this album an active listen, with headphones in a relaxing setting, to take the journey alongside Gregg to ultimate freedom. We think you will find it as valuable and profound an experience as we did. So with great pleasure we present Gregg Plummer's latest work, Free. Another exceptional work by this talented artist, and one we encourage all our listeners to check out. Highly recommended.